Blake & Company is now the New York showroom representing Park108. This collection has something for everyone. Beaded laces, soft chiffons and gorgeous embroidery embellish the mother of the bride and special occasion gowns and dresses. All sized from 2-24. Stop by our showroom to see this fabulous line. Typically, a woman’s wedding day is a joyous occasion. It is a celebration of the union of a bride and groom in holy matrimony. But, let’s not forget about another woman – the bride’s mother. The mother of the bride is a central feature of the wedding. She needs to look her best – and in the process make her daughter look her best. The mother of the bride dress is the next most important dress after the wedding dress. It is important for a mother and daughter to set aside some time in the wedding plans to select a mother of the bride dress that makes the mom look her best. There are so many special occasion dress choices. Mother of the bride dresses come in a variety of styles and there are a wide range of special occasion dress designers to consider. 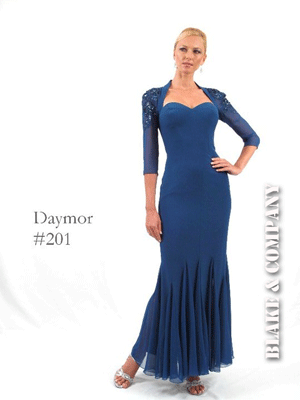 Mother of the bride dress selection depends on many factors including the time of year that the wedding takes place. Mother of the bride dresses differ in the spring, summer, autumn and fall. Mothers of the bride should enjoy the experience of selecting a dress for one of the most special occasions of their lives. Mother of the bride dresses should be tailored to fit the bride’s mother well.